The tune saw its live debut in Bogota, Colombia in March of 2014 ahead of its release that year as a digital single as the band wanted to play something new on the road. At the time, drummer Lars Ulrich explained the song “is fairly representative of where our creative headspace is at right now. It's one of those things that's like, 'Here, we're writing and we're creating.'" Directed by Brett Murray, the clip features live footage of the group performing the track. Due November 18, the two-disc “Hardwired…To Self Destruct” was produced by Ulrich, guitarist James Hetfield and Greg Fidelman. 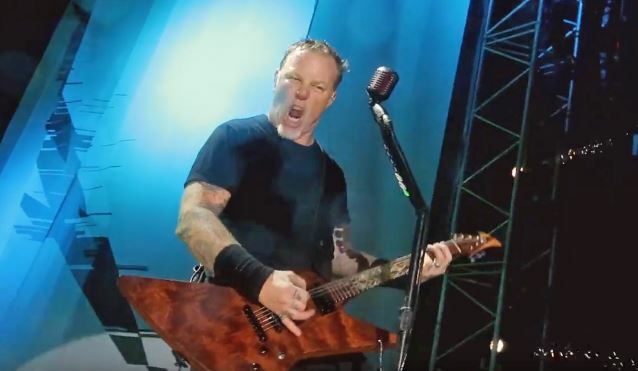 Metallica premiere video for Am I Savage?